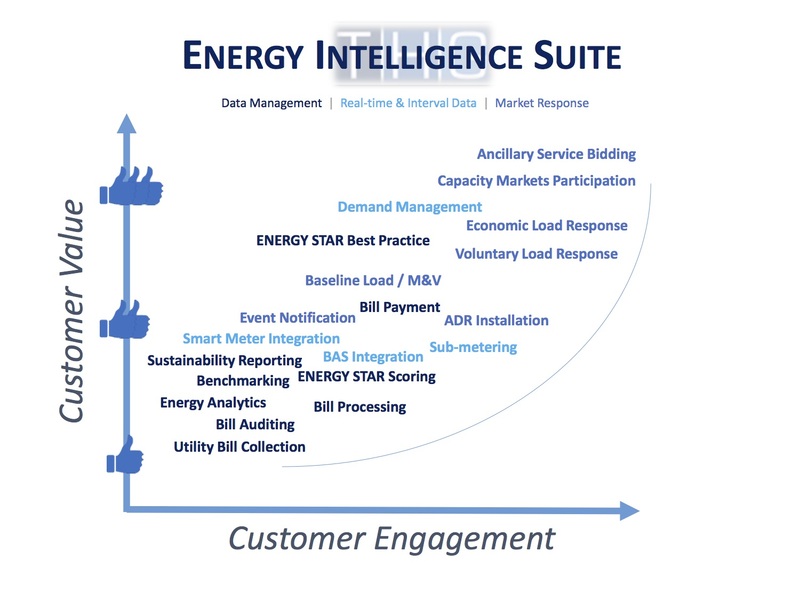 Contact THG to learn more about our Energy Intelligence Suite or to schedule a short demo. 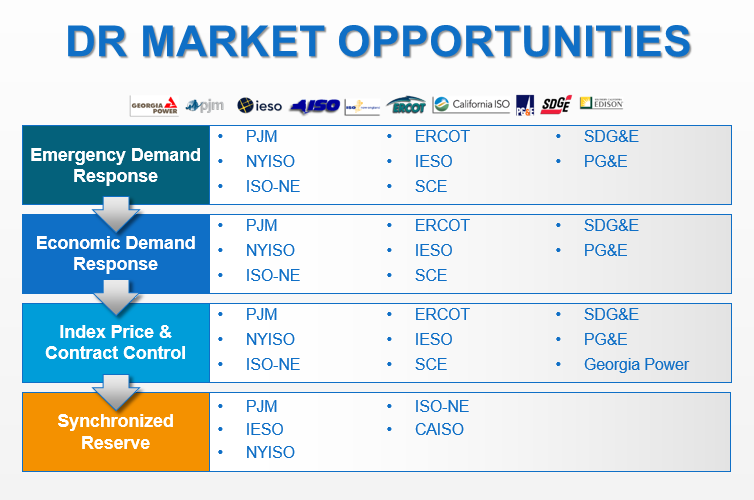 Demand Response is a common program utilities offer these days, where customers receive handsome payouts for making slight operational adjustments approximately 2% of the year. While lucrative incentives currently exist to encourage participation in most major markets, the process is too complex for many customers, leaving DR and price response disconnected from the common business experience in the Internet era. Network Thermostat intends on changing that. 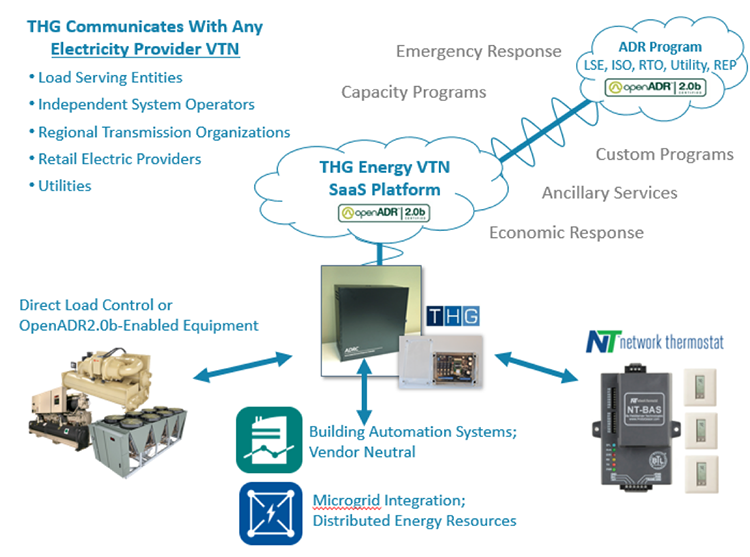 Customers using Network Thermostat’s NT-BAS (BACnet Gateway) and any line of NT’s commercial IP thermostats can now access lucrative energy markets through THG Energy Solutions’ OpenADR2.0b certified Automated Demand Response Controller. THG Energy Solutions, LLC. 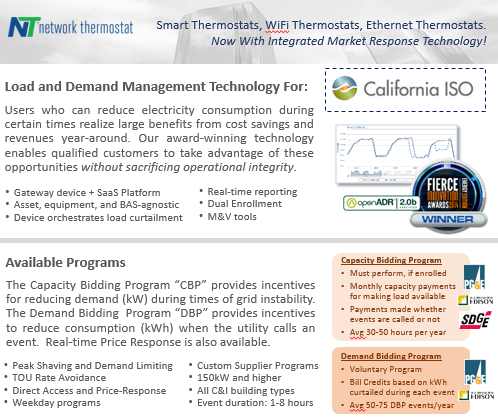 provides nationwide demand response, real-time price controls, and energy management services for multi-facility and large single facility commercial customers. C&I customers can now seamlessly integrate electricity supply with their demand – in real time – by orchestrating market-based signals and facility-specific demand side resources to improve energy efficiency and reduce utility and fuel costs. NT customers have the best of both worlds – the best in-class DR and integrated market response capability supported by the leader in Internet thermostat solutions. •	Today, THG provides utility bill data support and other value added energy management services, like: IDR integration, real-time sub-metering, ENERGY STAR scoring, and automated demand response solutions. Ideal for industrial customers interested in taking manual action based on operational or market factors, THG’s User Notification System is designed to help facility managers quickly evaluate and act upon real-time market data. Notifications are typically tied to utility or ISO-sponsored DR programs; participants receive emails and/or text messages when DR events are scheduled, when they begin, and when they end. 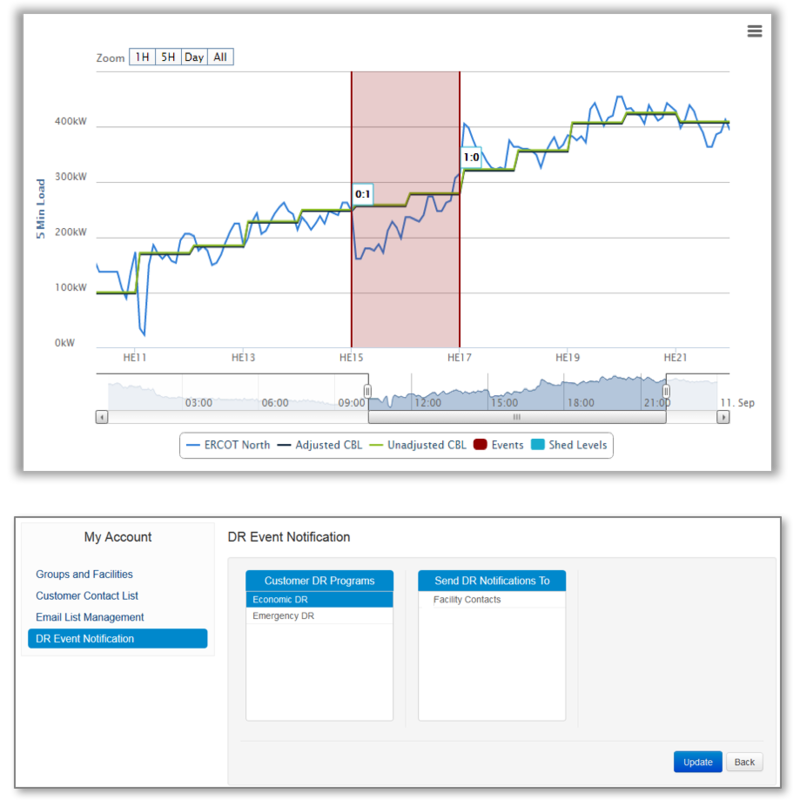 Because THG’s system can track real-time demand, this feature helps you manage demand peaks without being tied to a desk. Setting automated thresholds for asset performance protects facility operations, while enabling enhanced participation for additional benefits. 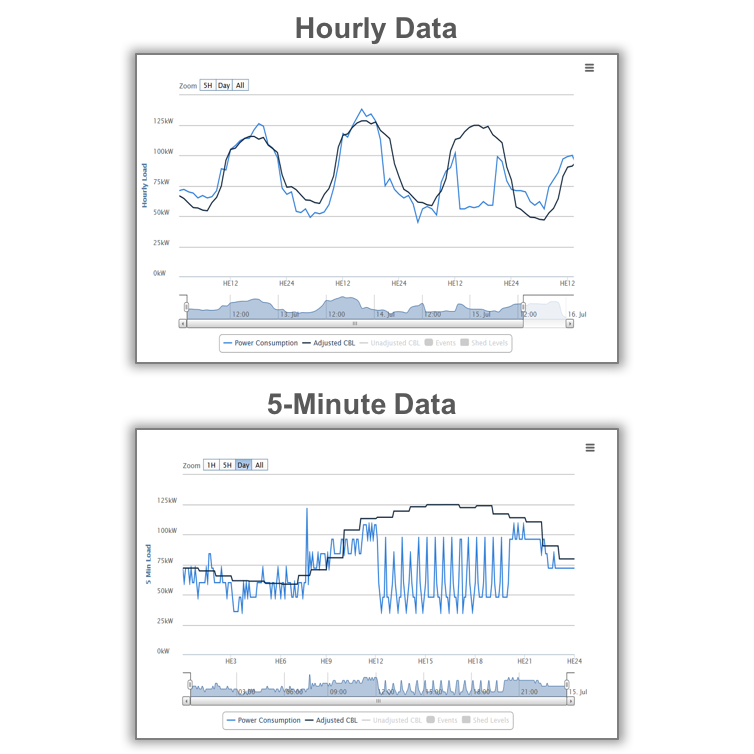 The graphs shown here were generated from our system showing the same facility during an 8-hour event. While the hourly graph (above) displays a clear reduction for the entire DR event, the 5-minute graph (below) illustrates how minimum and maximum shed times enable advanced participation without sacrificing performance.